La Roja's 4-0 victory in Kiev made them the first team to win three successive major international tournaments. Not only was it a perfect World Cup Final performance for us all to enjoy as fans but it taught us many things we can use as soccer coaches to help improve young players. There are four key coaching components. Physical, Mental, Tactical and Technical. Spain showed last night that they were technically excellent in every one of those areas that soccer coaches should focus on. Possession: Spain Receive the ball in tight spaces with quick, accurate passing. The passes are made with both feet using all parts of the foot. 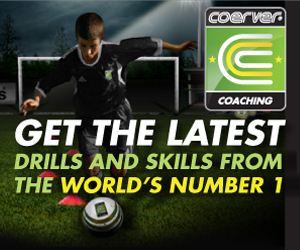 In Coerver Coaching we believe that this technical quality is built on ball mastery. Ball mastery is best learnt through repetition practices between 7-14 years old. Xavi : Xavi is one of the best passers of all time. He set up both Alba’s An Torres’ goals in the final with the Killer pass. The Killer pass is a forward pass that makes a goal chance. It’s made at the right time, at the right speed and at the right place. Spain shows that any formation/system depends on the individual technical qualities of the players. They use possession as a tactical means of protecting their goal. By doing this they are extremely hard to beat. Spain have not conceded a goal in a knockout game since 2006. Iker Casillas's net has been untouched for sixteen and a half hours. All of the players are confident in their own ability. They also trust their team mates. Confidence is a huge factor in using skill effectively. The mental aspect is very important in the way that Coerver Coaching teaches. Size is not a factor for success. Their physical condition is so good that within 5 seconds of losing the ball they can collectively win the ball back. 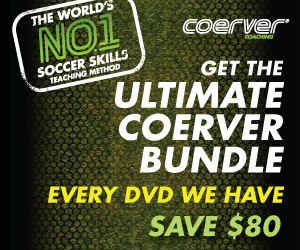 Over the last 28 year’s Coerver Coaching have built a curriculum based on analysing, breaking down, and teaching the qualities of great players and teams. This Spanish team is our teacher and provides us with all the lessons we need to improve young players.